I LOVE this Paper Pumpkin kit!!! (I know, I say that EVERY month, but REALLY. LOVE IT.) It's so bright and fun! Who doesn't need more birthday cards? and BAGS!!! So cute. Ooooh I got so giddy about the stamps this month! I'm a font person. 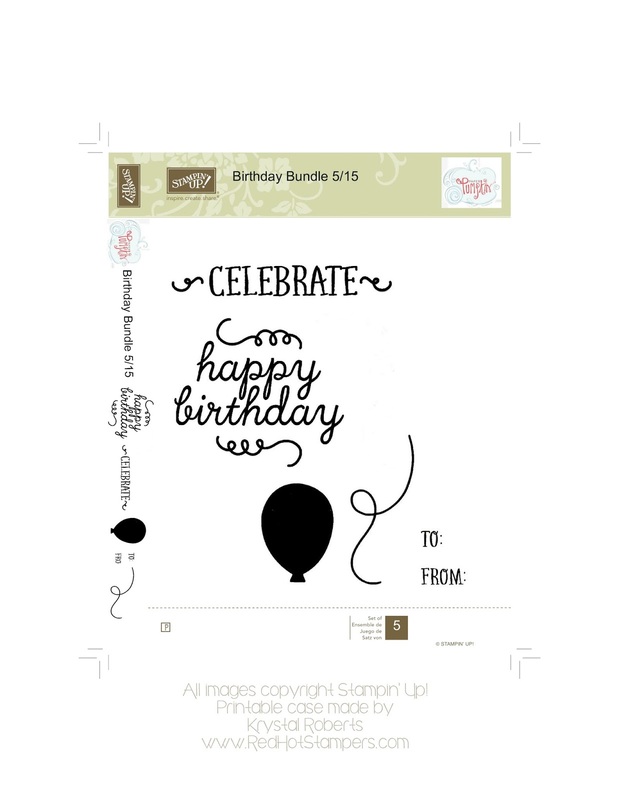 Paper Pumpkin has been full of sentiment stamps, which is awesome, but I have been wanting to see some better fonts. Oh boy did they deliver this month! Love them all! Even the little "to: from:" stamp has some curly Q's on the o's! CUTE! This one's a keeper! So now what you need to do is print out your clear case insert and make room for it on your shelf! I love the gift bags in the kit, but I really wanted to use all the pieces ON the card, so this is how I compromised. 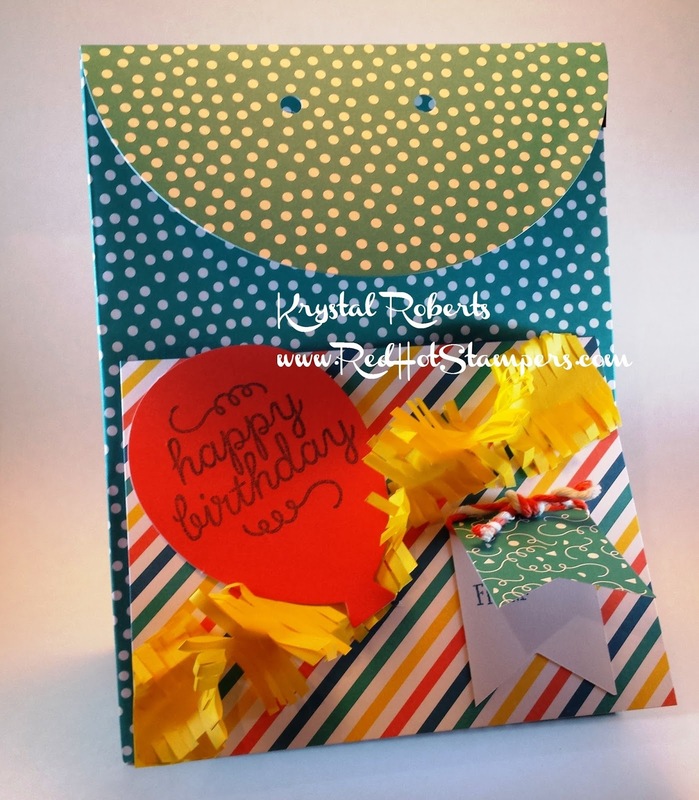 Use the pieces, then attach the card to the bag! That way the card won't get lost, and you have the cutest bag EVER! You can't really tell by the photo, but the tissue paper on this first card was snipped with the fringe scissors and then attached and twisted to look like a streamer. It's pretty awesome in real life. And yes, that is a to/from tag on the card. Here is another "card bag". 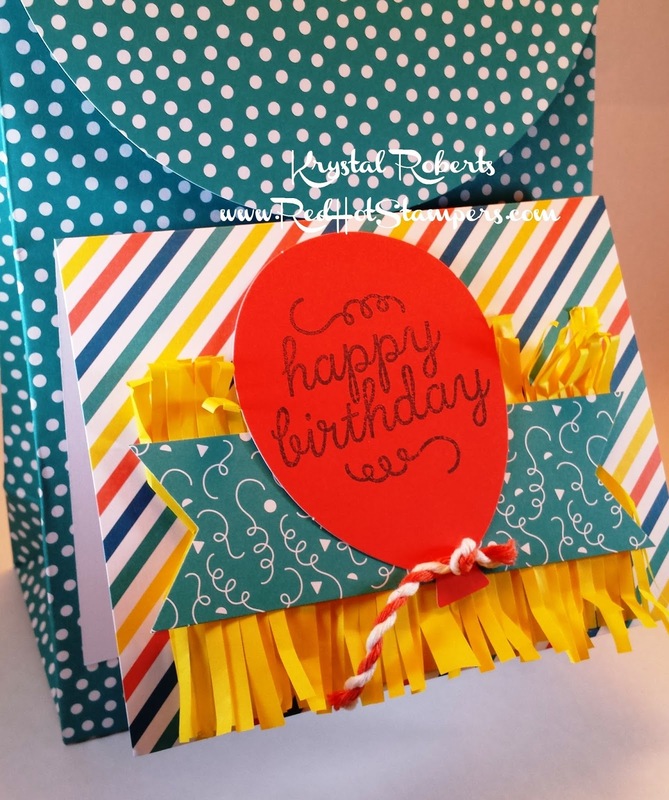 Turning the tissue paper into fun fringe might just be the funnest part of making these cards, and don't worry! There's still PLENTY to wrap your gift with! Keep watching my Paper Pumpkin Pinterest board for more ideas with this kit. Not even kidding. This is my new favorite!! !